The exhibition is organized into three broad categories: The Ice Age looks at the physical evidence of human activity over some 11,000 years of habitation, reaching back to the time of hunter/gatherer societies to groups that lived, for instance, along the shores of the long-disappeared Pleistocene lakes. Addressing notions of time, this section includes locations also marked by Euro-American exploration and settlement, as well as twentieth-century land use, whether military, industrial, agricultural, or social. 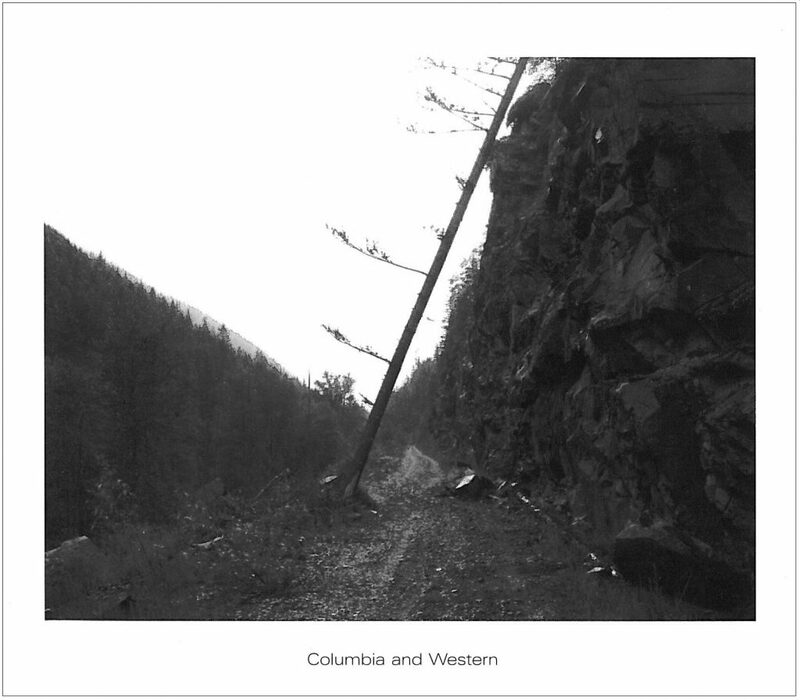 Westward the Course of Empire is a study of the violent intrusion that was the "conquering"of the West and the landscape architecture it produced, in particular abandoned railway lines and other technologized sites. 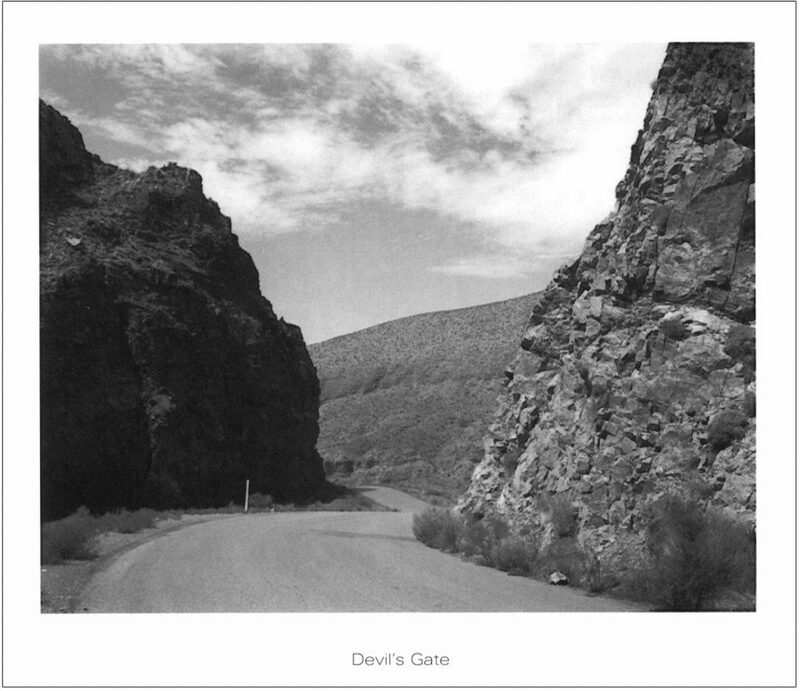 Pictures of Hell represents the innumerable places named after “Hell” or “the Devil”. 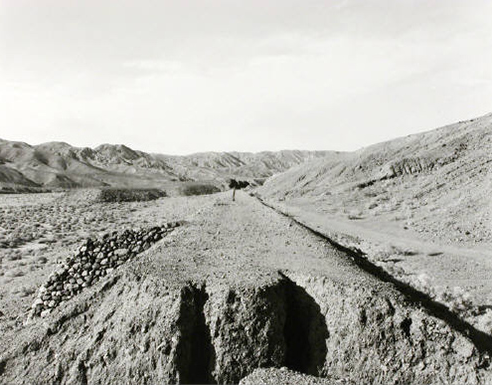 Often with no trace of human activity, these photographs are largely about the idea of place and how the act of naming by immigrants and explorers was often an imposition of cultural arrogance, habits and fears, as well as a displacement of previous native names. Mark Ruwedel is an American photographer and master printer who has lived in Canada for the past twenty years. He currently divides his time between Vancouver and Los Angeles, where he teaches photography at the California State University at Long Beach. Presentation House Gallery published a 64-page book in conjunction with the exhibition, including a curatorial introduction and texts by Ann Thomas, Curator of Photography at the National Gallery of Canada, and American writer Barry Lopez, author of the award-winning book Arctic Dreams. Supported by the City of North Vancouver, the District of North Vancouver, the Province of British Columbia through the British Columbia Arts Council and the Canada Council for the Arts. 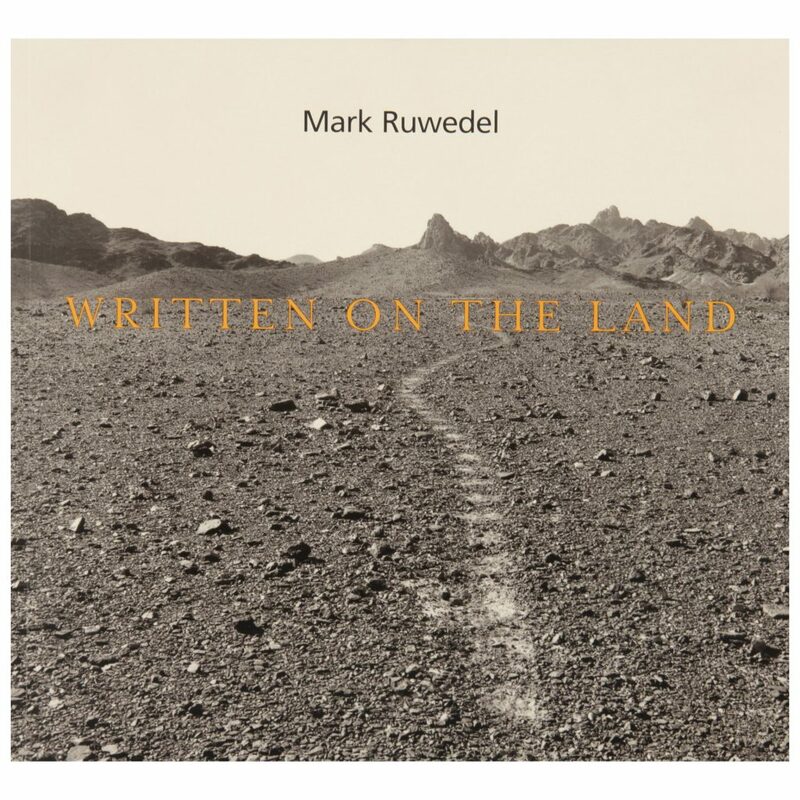 Written on the Land presents Mark Ruwedel's ongoing photographic project that looks at the impact of technologies and culture on the land. His subtle yet rigorous, decade-long investigation resulted in a fascinating accumulation of images portraying not only those devastations we have wrought during our own recent history, through military manoeuvres, weapons testing, resource extraction and cultural modifications but also the violent intrusion that was the 'conquering' of the west, in particular the building of the railways and the application of the new site names by European immigrants and explorers. The book covers Ruwedel's work from 1990 to 2001, divided into three sections: The Ice Age; Pictures of Hell; and Westward The Course of Empire. These three series are interrelated, as archeological history, land use and the act of naming places combine to form a picture of human interaction with the land. The publication includes a list of works and biographies and texts by Barry Lopez and Ann Thomas. Exhibition dates: September 7- October 20, 2002. The exhibition toured across Canada during 2003 and 2004. Designed by Alex Hass, Radish Design Studio. Printed by Hemlock Printers. Mark Ruwedel was awarded the Scotiabank Photography Award, (Canada) and the John Simon Guggenheim Memorial Foundation Fellowship in Photography, New York in 2014. He is an Assistant Professor at California State University, Long Beach, CA.